The goal of School bus App is to ensure the safety of your children. The application offers the possibility to monitoring the child during the travel from home to school. In addition, the long waits at the stop will no longer be a problem: our app can show you the delay of the school buses and also send you a promptly notify for abnormal events, such as the ascent or descent to a wrong stop. All comfortably on your smartphone. Reliability and safety through keychain with low energy bluetooth sensor (BLE) beacons. View of the scheduled bus timetables and any delay or advance and anomalies. Vehicles, Drivers, Devices data for the races. Services Statistics Consultation: Km service on line, frequentation. Notifications: alerts parent promptly in case of change of the service or special events. The experience of traveling as a group allows children also to rediscover the value of sociality. In addition, the cities involved will be able to add a new tool for the sustainable mobility, while the parents will have an instrument to follow their children during the travel from and to school. The School Bus app is easy and intuitive to use. Stay up to date on schedules, delays, and check the school bus path in real time. Last Thursday evening (for us Italians) at Fleet Center in San Francisco, Apple attended the latest keynote, where they unveiled the latest iPhones (iPhone 6 and iPhone 6 Plus), a new payment service ApplePay but more interesting the Apple Watch, their vision for the next generation of smart watches. We at Oimmei are very excited about those announcements and we’d like to share with you why! We already know how the new iPhones looks like, I genuinely hope that Apple will move it’s entire production in the States, like they do for the MacPro, so we could at least have the pleasure to discover the new products on the day of the announcement. 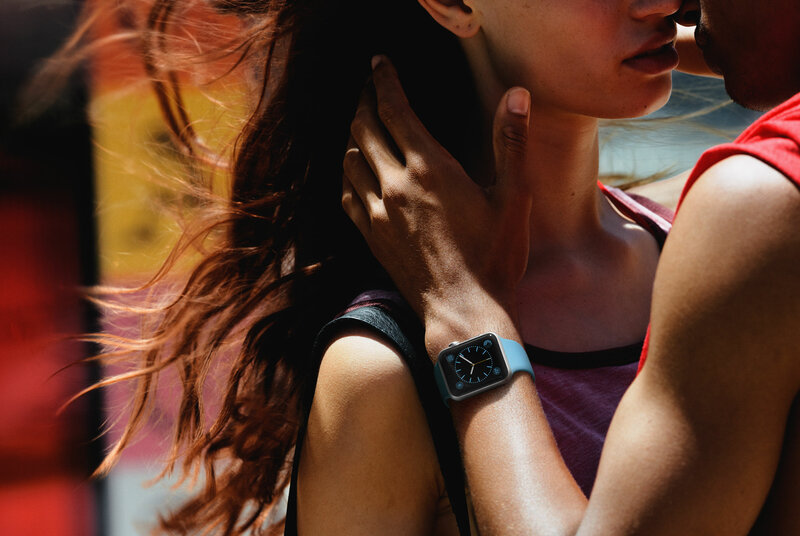 Despite this personal considerations, there are 2 key points that struck our curiosity: the new M8 co-processor and the Apple Pay developer kit. The first it’s an evolution of the M7, already available in the iPhone 5S, and it can measure your iPhone activity from a variety of sensor, like for example how many flight of stairs we have climbed since the beginning of the session, how many times we did stand up during the day, etc… all of this plus the ability to determine the GPS activity accordingly to the kind of activity we’re doing (run, cycling, driving). Thanks to this wide range of info we should be able to write fitness or location aware applications with a better level of accuracy, or change the kind of informations accordingly to the current user status. For example the app can change the directions info when the user exit the car and continue on foot, or in a fitness application the app can change the training type from run, run on treadmill, cycling and so on. On the other hand the Apple Pay it’s the Apple solution to physical payments, solution already pioneered by Android platform with the introduction of NFC enabled smartphone, solutions that never really took off. Thanks to Apple ability in dealing partnerships this could be “the right time”, but despite its use in regular stores (that will always be an Apple implementation), developers will be able to use the same system (with all the security guaranteed by Apple) within their own Apps, allowing the user to pay for a service directly from the App. There will be no longer need for third party services like Paypal, Square, and so on, but the payment could be made using the same iTunes credentials the user had already setup in the system, secure with TouchID and managed directly by Apple. The implications from the developer stand point it’s huge, we now have the ability to create Apps that can let the user pay for a service (a Taxi ride just ended and booked with the App, the restaurant table which I’ve booked with the App) without needing to worry about the hassle of dealing with secure transactions, credit cards input, storing user data and more. My predictions is that we will soon see many more apps that will allow the user to pay for “physical goods” directly from an App, mostly because in this scenario the user will be more confident that they’re not giving it’s personal data to somebody else, but they’ll likely will be using the same iTunes account they’re already familiar with. The most anticipated and waited iWatch has been finally unveiled, with a standing ovation at the “One More Thing” announcement (a phrase that wasn’t used since Steve Jobs departure), and in my opinion it didn’t fail the expectations. I will not argue about the form factor, dimensions or how it’s, or it’s not, fashion (I’m still a geek in the core), I already knew that I would have buy one if it’s “core” would have appealed to me, despite it’s look. For a complete coverage of models, bands and so on I suggest to take a look the beautiful mini site directly on Apple site. 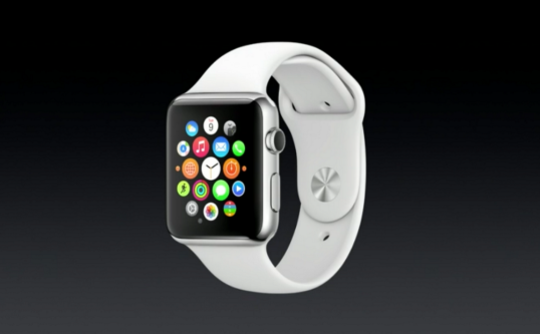 I was particularly interested by the possibility that we developers will have with this new device, the WatchKit will be available soon, and we will be able to create interaction notifications, complete apps or “glances”, the equivalent of widgets available on iPhone and iPad in Notification Center on iOS8. We, at Oimmei, have already dozens of ideas on how we can “expand” our applications outside the iPhone world, in order to create an User Experience more rich and engaging. The one thing that capture my interest the most, was the 4 sensors located on the back of the case, two of them will be used to scan the user heart beat in order to collect information about the physical situation, the other two will be used to stimulate (with subtle touches) the user. Apple demoed it’s use in a couple of ways, to inform the user of an incoming notification or for example to send directions information without the need to constantly look at the watch while walking, but we almost wonder if third party developers will be able to use this function as well, in this case for example applications for sending morse codes could be written, or notify the user if something important has happened in our app. The more I think about what could be done, the more I find potentially ideas for potentially new apps, and I can’t wait for Apple to public release the SDK so we can finally have an idea about what we could or could not do with it.